LANCASTER – At a public meeting in the Lancaster city council chambers Tuesday, the City’s citizen Elections Committee heard a third party analysis from Voting Rights Act expert, Dr. Morgan Kousser, who found that the City of Lancaster is in compliance with the California Voting Rights Act, city officials said in a news release. “Dr. Kousser is one of our nation’s leading experts regarding Voting Rights. He presented a very in-depth analysis on this matter, including some very detailed statistical regression analyses,” said Chairman Steven Derryberry. After conducting an extensive study examining the City of Lancaster’s compliance with the California Voting Rights Act from 2002 until present, Dr. Kousser found that Lancaster’s at-large elections have complied with the Act. More specifically, where racially polarized voting may have existed in some prior elections, the candidate of choice of the minority group was elected. Dr. Kousser has consulted or testified in 25 federal and seven state cases regarding voting rights and redistricting. He has also authored several books and scholarly articles and reviews on minority voting rights, race relations, political history, educational discrimination, and quantitative methods. 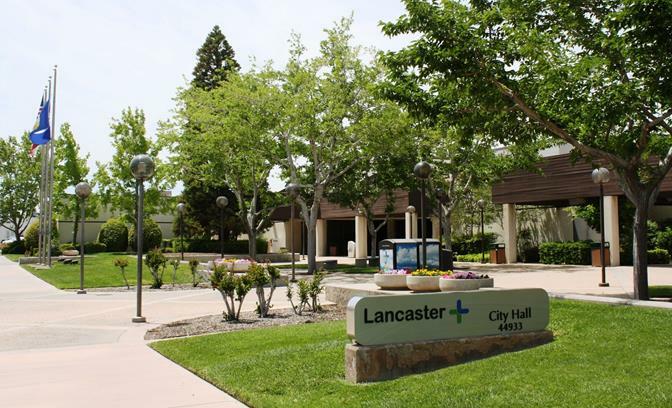 The study was requested by the City Council, on the recommendation of the City’s Elections Committee, to undertake an examination of Lancaster’s compliance with the California Voting Rights Act. The City’s appointed citizen Elections Committee is chaired by local attorney, Steven Derryberry, who is joined by commissioners Ed Galindo, Cassandra Harvey, Darren Parker, and Kitty Szeto. Lancaster uses at-large elections; however, Lancaster Mayor R. Rex Parris is the plaintiff’s attorney in a voting-rights lawsuit to prevent the city of Palmdale from using at-large elections. The lawsuit claims Palmdale’s at-large elections result in racially polarized voting, which prevents minorities’ candidates of choice from being elected. In a final statement issued late last year, Judge Mark Mooney found Palmdale in violation of the California Voting Rights Act and ordered the city to hold a district-based election in June. Palmdale is appealing the decision. 18 comments for "Lancaster compliant with Voting Rights Act, expert claims"
Wouldn’t it be wonderful if the next election we voted and put into office all new people to run the city. I think it would be a breath of fresh air only problem we would be sued by our present mayor and city council. We can only hope, William. We can only hope. What is actually very interesting is, the Runner machine seems to be losing its grip on the AV. New Republican blood is popping up against their will. I think part of the reason is, it’s kind of hard to have people shaking in their boots when threatened by the Board of Equalization guy. Neither Ron Smith nor Buck McKeon carried either Lancaster or Palmdale in the last election, so the local Republicans are having increasing trouble delivering the goods. That breath of fresh air may be blowing in sooner than we think. And to top it all off, the main Republican Party political operative in the Valley can’t stay sober. Good times for the Democrats! I’m sure that we’re all shocked and amazed that this ‘third party expert’ (that just happens to work directly for Parris), found absolutely no problem with the elections format of Lancaster (which uses the exact same format of elections as Palmdale). I’m shocked, I tell ya… Isn’t everybody? Someone will have to sue and take it in front of a judge and not just take a Parris ‘experts’ word for it. Does Rex not realize what a fraud he appears to be to the Antelope Valley residents who are paying attention? Hopefully, the April council elections will send him a message. I can’t wait to see what kind of shenanigans he’ll pull before then. I can’t imagine that he’ll sit back and let an honest election take place. That’s not how a ‘Christian community’ works, it seems. You don’t need an honest election when God is on your side. Now you know what $20k will buy you. Only $20K? Really? Wow, what a cheap who-… Erm, ‘third party expert’. It is pretty simple. If Rex endorses you, you lose my vote. Was there this much anti-Rex commentary being expressed just a few years ago? Not just here, but elsewhere as well. Hopefully, a consensus is building in Lancaster that more of the same just won’t cut it any more. Remember, Lancaster voters, Rex once said that it was good to have Section 8 voucher holders occupying vacant homes in the Antelope Valley. The goings on in Lancaster probably helped elect Assemblyman Steve Fox as much as anything else. Thank you Rex. And, while you’re at it, Rex, help us elect a Democrat to the House. Keep on talking. Unlike your juries, Rex, we can talk back and don’t have to buy what your selling. Totally my thinking. If Rex is for you, I know it’s bad. The thing that I find most troubling is the people who I thought saw through his nonsense are flocking to his committees. I can understand the Steve Derryberrys and others who rely on him for referrals, but there are other liberal Democrats who have just totally caved. The only price is a title for their resume. Sad. There are quite a few things that I can’t figure out. How do they decide who is “black” and who isn’t? How do they decide if they’re “black enough” to count for the districting? Do they go by last name to determine of someone is Latino? Maybe I can just decide that I’m a gay black woman who’s been bullied. Even though I’m a fair-skinned, married man. I can say that I feel like a woman inside. So many of these things that they base decisions on are totally subjective. Maybe we need to do a DNA test on all voters before we set up these Districts so that we know that they’re racially balanced. It’s crazy. This all sounds like a lot of BS by the City of Lancaster. With Parris as the attorney, I see this as a huge ethics issue as well. This from the same guy Parris hired to say Palmdale was in violation, according to AVPress article.Now he’s been paid $10-20, 000 for this opinion.How much credibility can there be for this? The bed keeps getting bigger and bigger, hope nobody snores. I hope that this can be used by Palmdale in some way in regards to the lawsuit against them. It is sneaky and underhanded, though I shouldn’t really be surprised since Parris is running the show. Agreed, seems like a little conflict of interest at least. why would anyone believe anything that comes from an city that is so shady that they hold elections at odd times and keep and count their own ballots? lets not forget how they munipulated the vote last election by letting a non resident run for city council. this is another piece is a very corrupt puzzle.